Call of Duty: WW2's having some online issues after its first weekend, including a non-social social space. Developer Sledgehammer Games posted a message on its official site that informed players about some of the issues they might be running into due to the launch day rush and further tech issues. Too bad the beta test in August wasn't enough to ensure a totally smooth launch, though they rarely are for any game. 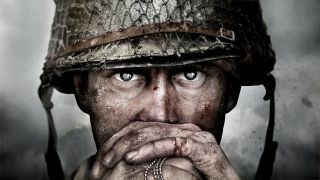 First off, you may have noticed that Headquarters feels like a ghost town if you're not playing with friends. That isn't actually a bug! Sledgehammer intentionally disabled the background matchmaking that populates HQ, AKA Call of Duty: WW2's Destiny-style social space, with random players. It also deactivated leaderboard updates, though the stats themselves are still being recorded. Both of these tweaks should only remain for the "short term" while Sledgehammer focuses on making the matches themselves run as well as possible. According to Activision's official support site, the company is tracking at least seven "known issues" in the game. A few of these problems interfere with claiming bonus content, while others make it look like you don't get anything when you open a loot box. Don't worry, you should still get your loot box if you wait a while after opening one and then check your Soldier tab. You just might not get to enjoy that deliciously Pavlovian opening animation. Most alarming is a glitch that causes players to lose earned multiplayer levels. Sledgehammer says most players lost 5 or fewer levels but you should still contact support if you've been affected. The studio says it's "committed to making it up to the affected players". So, um, more loot boxes, maybe? Still not sure whether you want to go back to World War 2 video games? Check out our Call of Duty: WW2 review to help you decide.